Automatic disease detection and classification have been attracting much interest. High performance is critical in adoption of such systems, which generally rely on training with a wide variety of annotated data. Availability of such varied annotated data in medical imaging is very scarce. Synthetic data generation is a promising solution to address this problem. We propose a novel method, based on generative adversarial networks (GAN), to generate images with lesions such that the overall severity level can be controlled. We demonstrate the reliability of the generated synthetic images independently as well as by training a computer aided diagnosis (CAD) system with the generated data. We showcase this approach for heamorrhage detection in retinal images with 4 levels of severity. 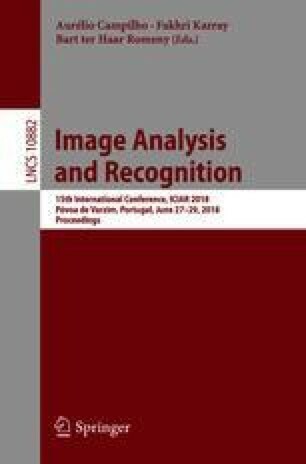 Quantitative assessment results show that the generated synthetic images are very close to the real data. Haemorrhage detection was found to improve with inclusion of synthetic data in the training set with improvements in sensitivity ranging from 20% to 27% over training with just expert marked data. This work was supported by the Dept. of Electronics and Information Technology, Govt. of India under Grant: DeitY/R&D/TDC/13(8)/2013.